We offer private dining in our Reserve room for groups of 20-40 guests. Additionally we have a private dining room in the Bistro that will accommodate from 8-10 guests. The food and drinks were great, the service wasn’t good at all. It wasn’t all that busy, but we had to hunt down our server, and remind her of things we asked for. I would be more forgiving if she hadn’t been in plain sight on her phone he entire time. Friends gathering and celebrating a birthday. We had a great experience here! It was our first time and the staff was so nice and friendly. The food was delicious. I couldn’t believe everything was made in house, even the bread! 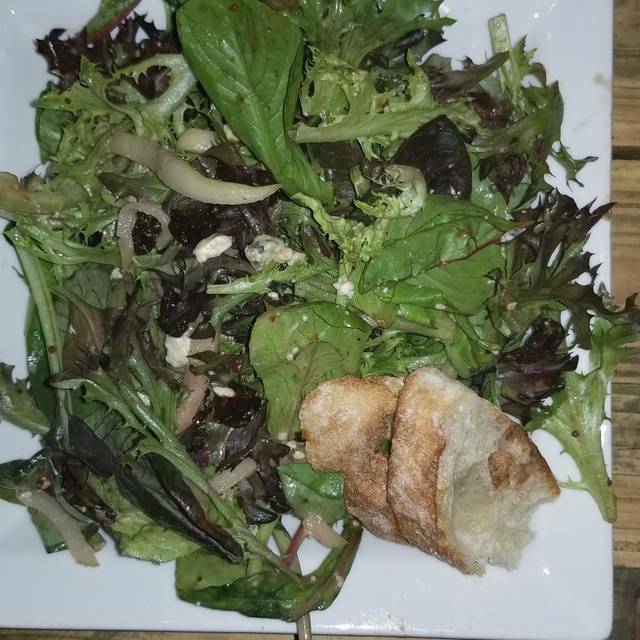 We got an awesome appetizer of baked Brie and for the main course we got a flatbread which was good and the chicken Waldorf sandwich was out of this world. The flavor combos were bomb! The manager came over to talk to us and we got to learn about the concept which was really cool. They gave us a free dessert for our first visit which was so nice! We got the bread pudding and it melted in our mouths it was delicious. Overall a great experience here! We will totally be coming back. My dear friend and I have found a happy new home here, since the closing of the Clintonville location. We are grateful for the stellar service and outstanding offerings. We look forward to visiting again! Always enjoy our dinners at Wine Bistro Worthington. When we arrived it Took awhile for anyone to come to our table. Servers are all over but no one came to us. We wanted to get another glass of wine after our food but could Not get server and sat without drinks and water for more than 15 minutes. Then when we did get her attention she brought our check without us asking for it. We were going to get another glass of wine but that sealed the deal. She was not rude just very inattentive. We do Enjoy this place and will go back but hopefully have better service next time. We only had a couple of hours to spend there since we had a sitter. Food was fine, wine was great. We always enjoy going to Wine Bistro. We particularly enjoy having Kelsie as a server. She is a great server, and we always have great conversation. I still love the Worthington Wine Bistro...usually everything goes without a glitch. That night our server took the orders of 2 tables of people that were seated well after us. So, naturally they were eating before us! Then, it seemed that the kitchen was burning more food than they were serving and, boy, did our clothing smell of smoke the rest of the night! So, we'll chalk that up to them just having an off night as we all do on occasion! It was a perfect location for a Sunday dinner with friends. Quiet enough for good conversation. Good tasting food. Just what we were looking for. Exactly what we were looking for to step away and chat over good food and good wine! Absolutely perfect. Outstanding place with a calming ambiance. I will make this a regular stop. The onion soup is a must have. We also enjoyed the baked brie and meatball appetizers. We had a fantastic time celebrating our 24th wedding anniversary. We'll definitely be back. My husband and I have been to wine bistro many times. We have always loved the food and wine, but we recently got a new server Kelsie... This has made our experience 100 times better! Previously, we had a different server, maybe 6 times in a period of 3 months, and she never remembered us, but it only took Kelsie one visit to remember us. The second time we dined with her remembered what I ate and how I said I only choose from two different dishes. Not only did she remember the two dishes I choose but also what my husband gets! She is a great server and we will be back to dine with her every time. Great food and service. Food quality is a step above others in under the same ownership. Highly recommended! I reserved a table for 9 for a business dinner. We were in the wine tasting room which was a very beautiful private room. We started with a beautiful cheese board and mushroom bruschetta. Everyone ordered what they wanted off the menu. 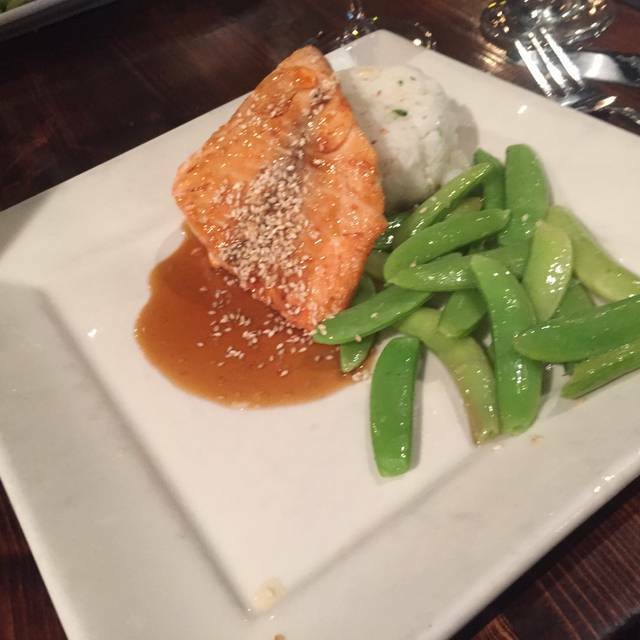 Some of the dishes included the short ribs and salmon. I personally had the chop salad with salmon and it was absolutely delicious. The presentation of the food was beautiful and the taste was out of this world. Our waitress Kelsey did a fantastic job taking care of everyone and was very attentive. The manager even came by our table and made sure everyone was satisfied. I can not say enough about this experience. I know my clients, and myself, were very impressed with the restaurant and I will be going back very soon. Beautiful private room enhanced our celebration. Service and staff were perfect. We’ll be back. Thank you! True gem! Delicious food, impeccable service! This is my GO TO for catching up with friends. The atmosphere is always inviting, the food is on point, and the service is impeccable. Restaurant week food was Okay, entrees not bad enough to send back, but not very good. It took too long for our server to come back to us once we were seated. A restaurant of this caliber should quickly provide water and offer bread to start. Once the water was provided, we didn’t see our server again for a while so I had to flag someone else to get a water refill. When our food finally arrived, my wife’s risotto was crunchy and tasteless. 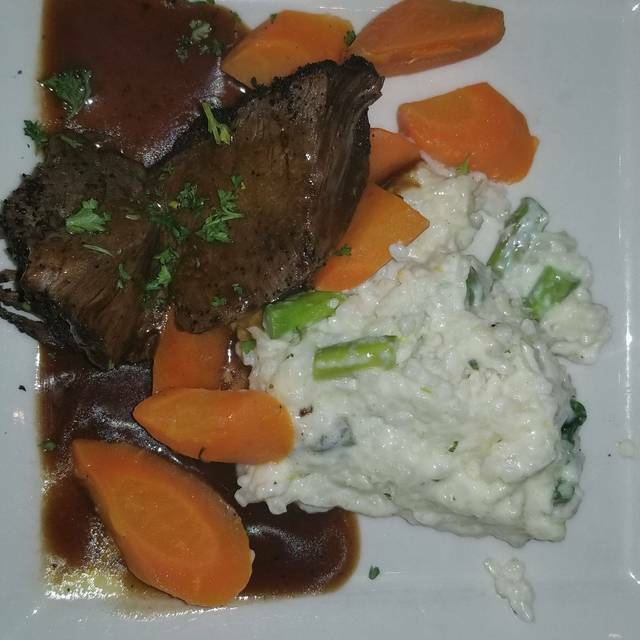 Her short ribs were fine, but some of her carrots were undercooked. Wasn’t impressed with our first dinner experience at the Bistro. It’s a great environment and great food and great ambiance. We ate there for lunch. Relaxed atmosphere. Amy was a fantastic server even tho she was the ONLY server available and we had a large group there for a holiday luncheon. She was remarkable and took care of us professionally and promptly. The party room is a delight and beautifully decorated for the holidays! Thanks so much! As always, Dejan and his team offer and outstanding dining experience. We were celebrating my birthday and everything was perfect. I highly recommend the wine bistro whether it’s for lunch or a business meeting, an evening out. Excellent menu with interesting choices. And the wine! They offer selections from Kamnik Winery which is an added treat. This is one of Columbus’ gems. This is a great place to have a nice meal and a great choice of wines. Nothing fancy, but good food and excellent service. It was very good, But, it was too noisy. Would like to meet friends there, but we want to be able to talk and hear each other. We'll try lunch. Lots of interesting sounding itemss, especially the desserts, but couldn't have one after the super rich entrée. 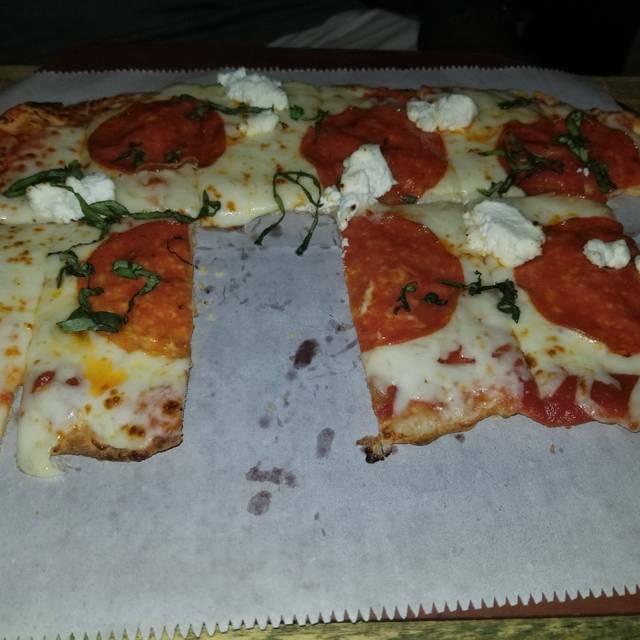 The cheese flat bread plate was very rich (but good). It would be better as an appetizer so one would have just a little. Took more than half home, and my husband says it upsets his stomach. At least warn people. The chicken was spicy, much to my husbands surprise I could not have eaten it. Again, warn people. Have only eaten there once, so can't comment on many of the items above. Our server was very helpful and personable. Great service. Good food.Our group likes sitting in the tasters' room. The taster's room is beautifully decorated for Christmas. I would/will return to the Wine Bistro for lunch or dinner again. I live in Clayton Ohio and it took me almost an 1 1/2 to get there but it was well worth it. The food was creative and delicious along with a wonderful server that was very informative and very attentive. As soon as you walk in the place you feel comfortable and glad you came!! We had a great evening. Spencer was an excellent server. The place was crowded but we still received great attention. Our meal was good and the recommended wine was excellent. Slow service but quality food and atmosphere. 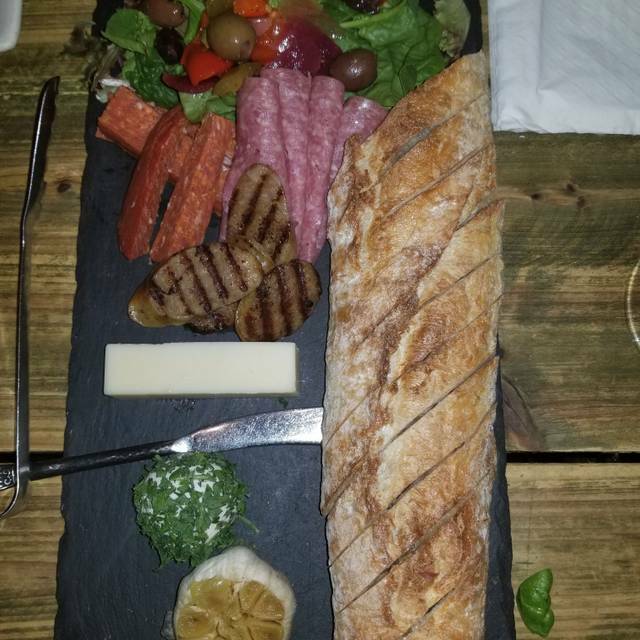 We had another great meal at the Wine Bistro! Salmon was delicious and perfectly cooked; my daughter had the flatbread which was enough for dinner and lunch the next day! Wine list was great and service was attentive.